The week of the ABT Fall Gala has arrived! The other dancers and I are so excited to perform Lauren Lovette's Le Jeune at the David H. Koch Theater. Today, I started off with a breakfast of yogurt and granola, then headed to 890 Broadway for 9 am strengthening class with company dancer Roman Zhurbin, followed by women's class and then a lunch break. 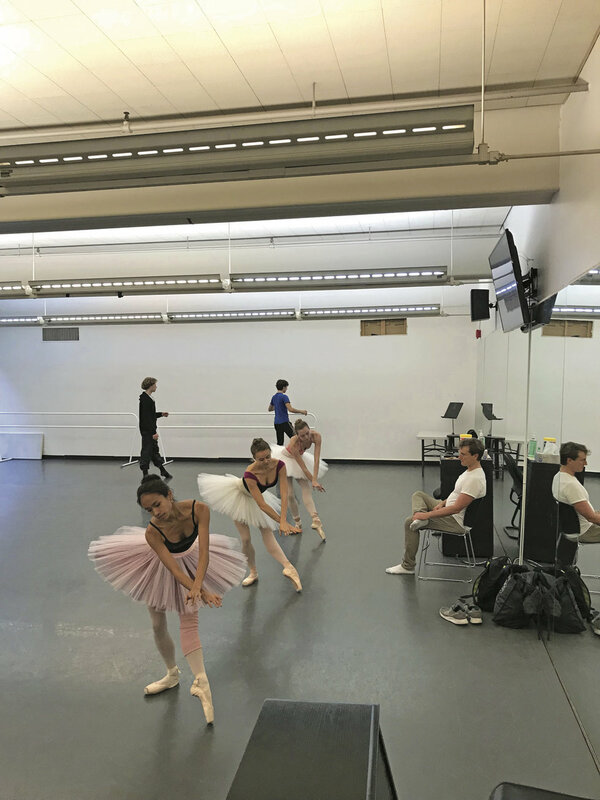 After a quick lunch, the apprentices had rehearsal with Sean Stewart, a recently retired dancer with ABT. He's been teaching us lots of the corps de ballet roles we'll need to know for the upcoming season—like peasants from Swan Lake and pirates from Le Corsaire—and sharing his wisdom with us. Next, we had a rehearsal with the ABT Studio Company for Le Jeune, the piece we'll be performing in the gala. This piece was created last year by New York City Ballet principal Lauren Lovette and is part of this year's ABT Women's Movement series. After reviewing the corrections that Lauren gave us last week, we finished off the day with a Pilates session. Then we all raced over to the west side of the city to catch a live orchestra rehearsal of Le Jeune. On Wednesday night, we'll be performing this piece with a live orchestra for the very first time! It was super-exciting for us to hear how our music will sound during the gala. Our anticipation is building as the performance night gets closer, and I'm so thrilled to represent the energy and intricacy behind Lauren's choreography on the Koch stage. One more sleep until the big night! We started today off with a combined class taught by ABT ballet mistress Nancy Raffa, followed by a pointe class. After lunch, I had one last in-studio rehearsal for Le Jeune before the piece is taken to the Koch Theater. We practiced the piece while listening to a recording of the live orchestra from last night. Dancing to live music is something we need to adapt to because we're so used to the CD recording. Dancing alongside an orchestra adds an exhilarating and magical element to the performance, and we want to be as prepared as possible. Next, the apprentice ladies rehearsed the Shades trio from La Bayadère with Sean for a performance next month. After a long day of rehearsals, I met my parents for dinner. They've flown in from Toronto to see the gala performance, and it was so good to see them. We ate at an Italian restaurant before I crashed early to get a good night's sleep. My fellow apprentice roommates and I woke up early on this crisp, sunny morning and headed to 890 to take class with ABT ballet master Carlos Lopez. After class, we went back uptown for a spacing and dress rehearsal of Le Jeune on the Koch stage at Lincoln Center. The dimensions of the Koch stage are a lot larger than we're accustomed to, so we have to dance bigger and travel more than we have before. The excitement is palpable when standing on that beautiful stage and everyone can feel the energy. I had a break after the dress rehearsal, so I took that time to fuel up and calm my nerves before the big performance. I got to the theater to do my hair and makeup, and then took a short class to get my body warm and aligned. The Koch Theater can seat almost 3,000 people, which can feel overwhelming. To fight the nerves, I remember to take deep breaths and stay grounded in my body. We've rehearsed this piece for countless hours, so during the performance, I let my muscles take over and I focus on channeling the magical feeling of dancing in such a prestigious venue. Performing Lauren's piece was surreal, and I'm so thankful that we had so much support and encouragement from the company. What an incredible experience! I woke up Thursday morning a little more tired than usual, but still glowing from last night's show. Thursday went as Thursdays usually do: 10 am class, pas de deux, rehearsal. 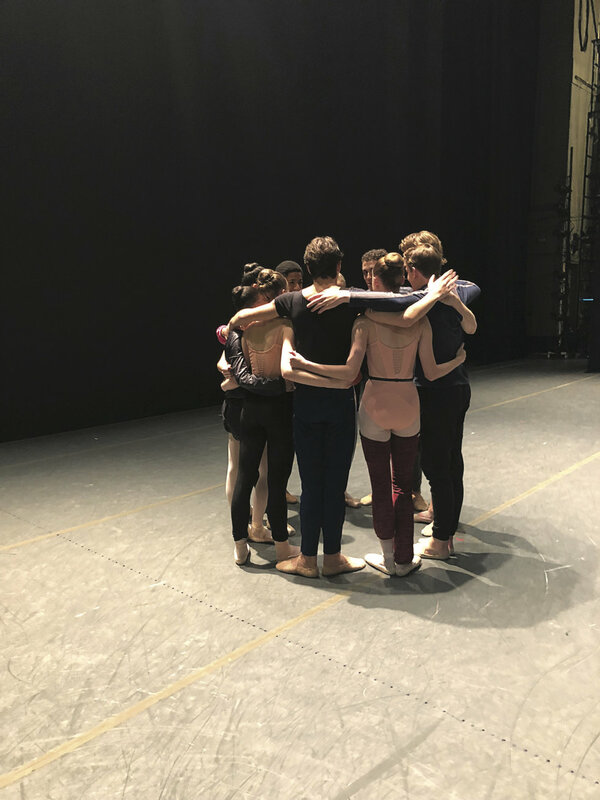 I'm looking forward to attending ABT's performances for the rest of this fall season, as the programs are filled with amazing ballets like Twyla Tharp's In the Upper Room, Wayne McGregor's AfteRite, George Balanchine's Symphonie Concertante, Alexei Ratmansky's Songs of Bukovina, and so many more. I love being inspired by this versatile company. After such an exhilarating and eventful week, I think I'll go to my favorite Thai restaurant in Nolita called Uncle Boons to celebrate—and then use the weekend to rest and recover.